Learn why you should stay at Blue Coral Beach Resort on your holidays. 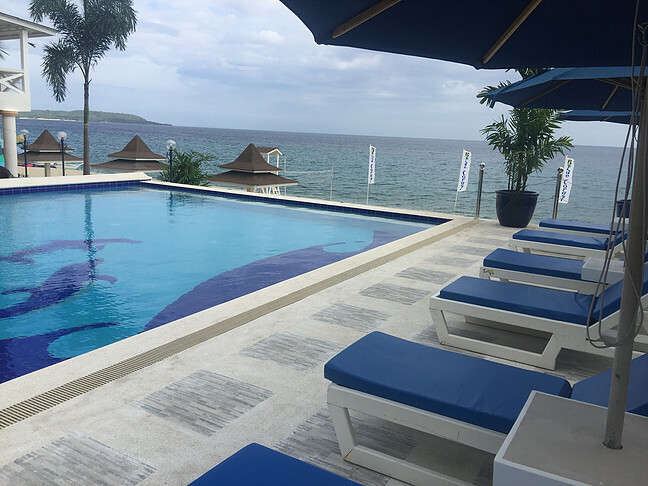 Blue Coral Beach Resort is located in the virgin paradise of Laiya,San Juan Batangas, Philippines. Blue Coral Beach Resort offers uniquely designed tropical spacious rooms and suites. Our rooms are entirely furnished and equipped with basic amenities that will give you a feeling of total relaxation! We have all the facilities and services you need for a truly relaxing and enjoyable vacation: friendly receptionists and staffs, a souvenir shop, a koi pond, an entertainment and sports deck, a conference deck, grotto, a cozy restaurant, a chilling poolside bar, a relaxing tree house, swimming pools for adult and kids, a warm pool jacuzzi, and our latest addition, the infinity pool. 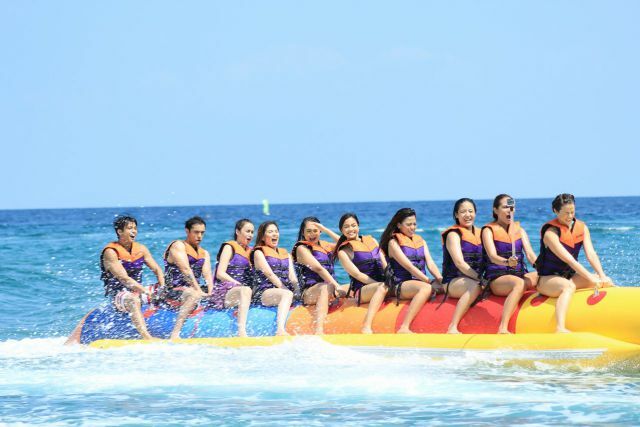 We also offer water sports activities to make you totally satisfied with your stay. Our beach has an impressive combination of white sand and crystal sea water for you to better have fun in the sun! Why stay at Blue Coral? Because at Blue Coral, our guests’ satisfaction is always our priority. We take time to listen to feedback and make improvements accordingly. Our resort undergo regular maintenance to make sure that we cater to all our guests’ needs, hassle-free. Blue Coral Resort hospitable staffs are dedicated to provide you with topnotch service that comes from the heart. It’s more tropically fun here! Book with us now, and set yourself free from the busy urban city. Blue Coral Beach Resort is a tropical resort offering a warm and refreshing solace from the busy city life. The resort has a special restaurant offering well planned menu that will satisfy your appetite. You can choose to enjoy the sand and sun or just take a dip in the resort’s swimming pool and revitalize. Why not go and enjoy the sunset on our sunbeds located neatly on the shore. Surprise your loved ones with this one of a kind sea and sand get away. Our beach has an impressive combination of white sand and crystal sea water for you to better have fun in the sun.